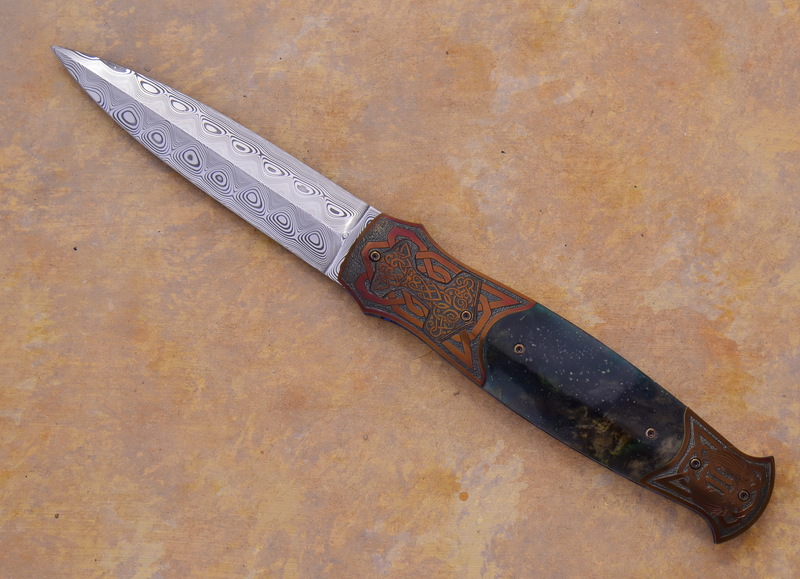 Profile: I decided to start knife making as a hobby after I retired. This was a complete unknown area as my previous hobbies were pottery, photography and collecting rare nearly extinct cacti. In November 2004 I built myself a belt grinder from information off the internet and also taught myself knife making off the internet. 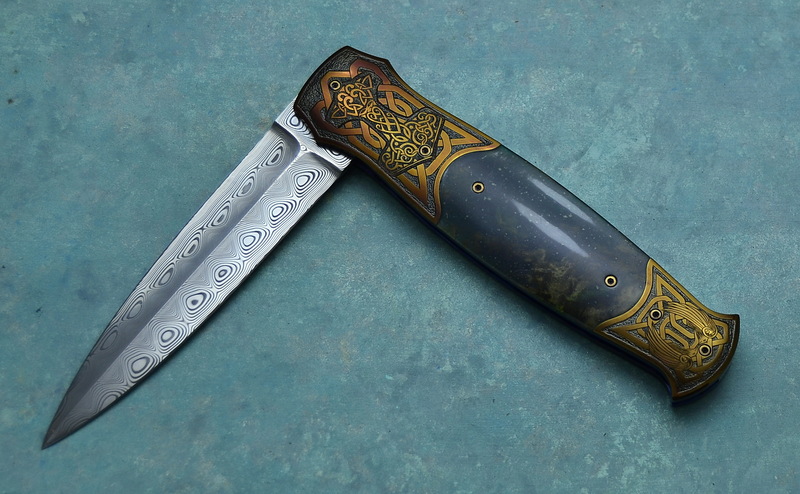 From there on I started striving to make the perfect unique once-off knife with full authorship of all embellishment. In 2009 I imported engraving equipment from the USA and started teaching myself engraving off the internet and getting advice from the Engraving Forums. 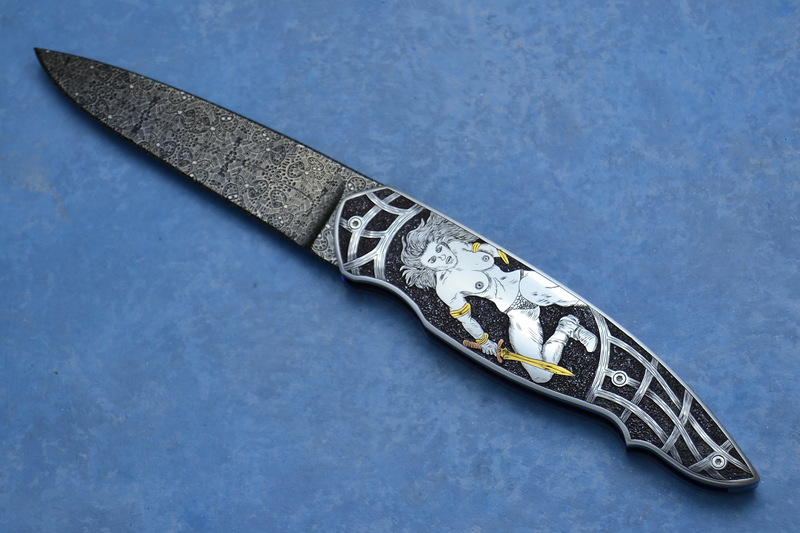 Since then I have thoroughly enjoyed the artistic designs of the engravings being done on my knives. 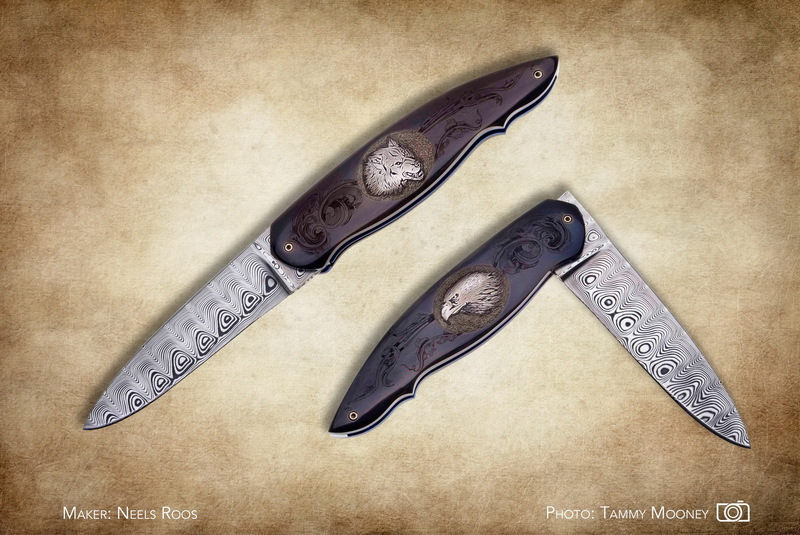 I make both fixed blades and linerlock folders and each knife is unique. 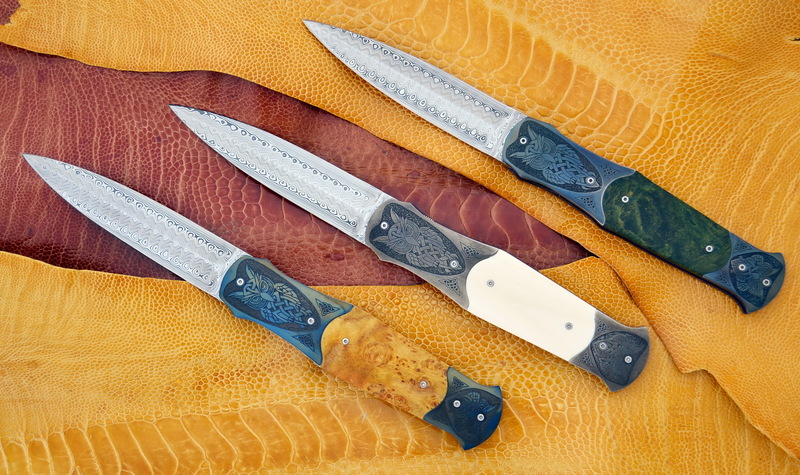 In January 2012 I applied for membership to the Knifemakers Guild of South Africa and was accepted as a member. 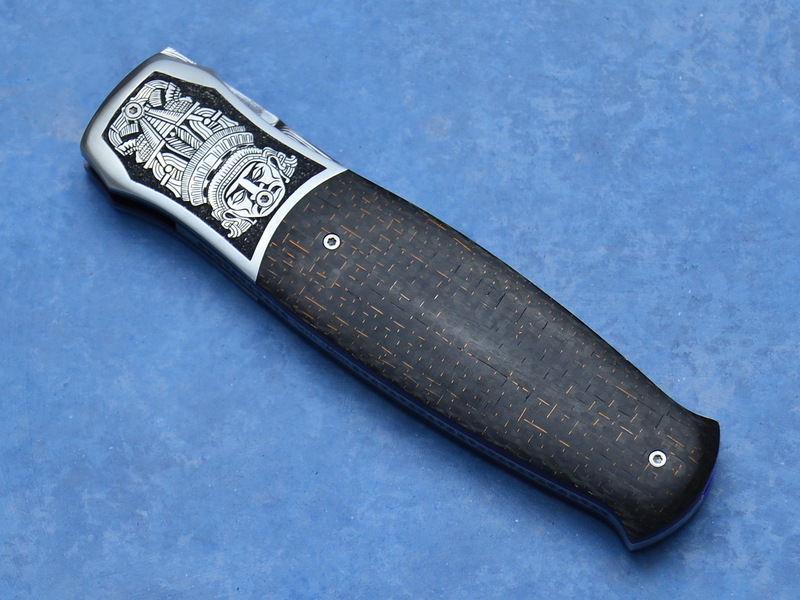 I have served as secretary of the Cape Knife Club for two years. 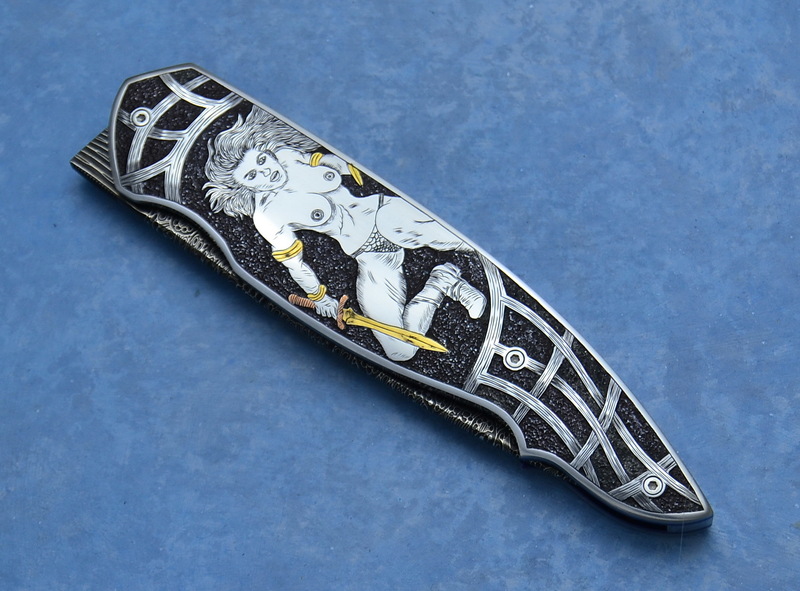 I am at present the secretary of the Cape Knifemakers Guild. 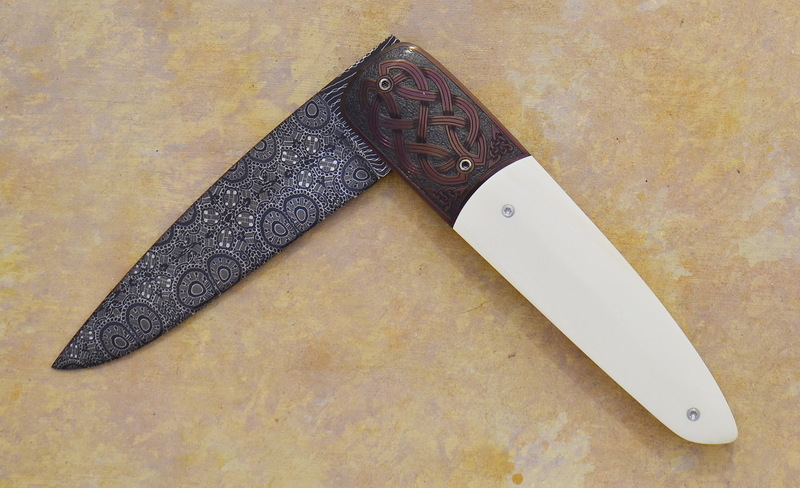 My wife Corinne is my biggest critic and also does the sewing of my sheaths by hand. 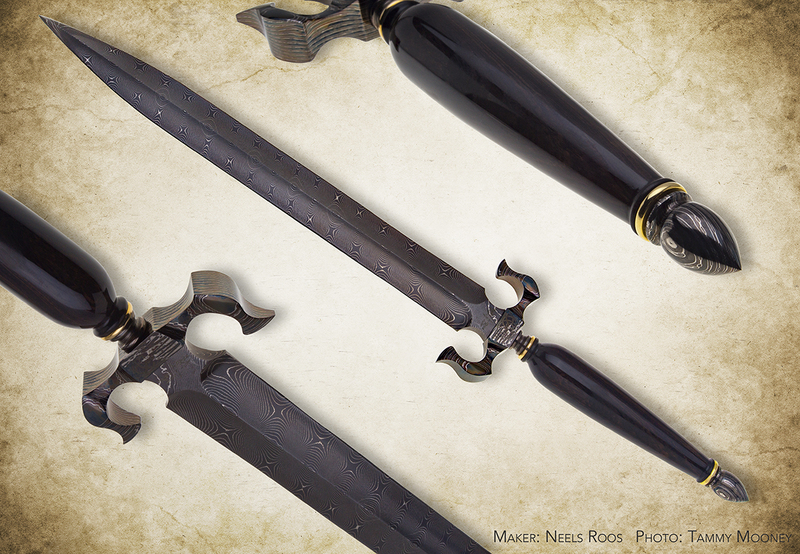 Knifemaking is a serious and challenging hobby for me. 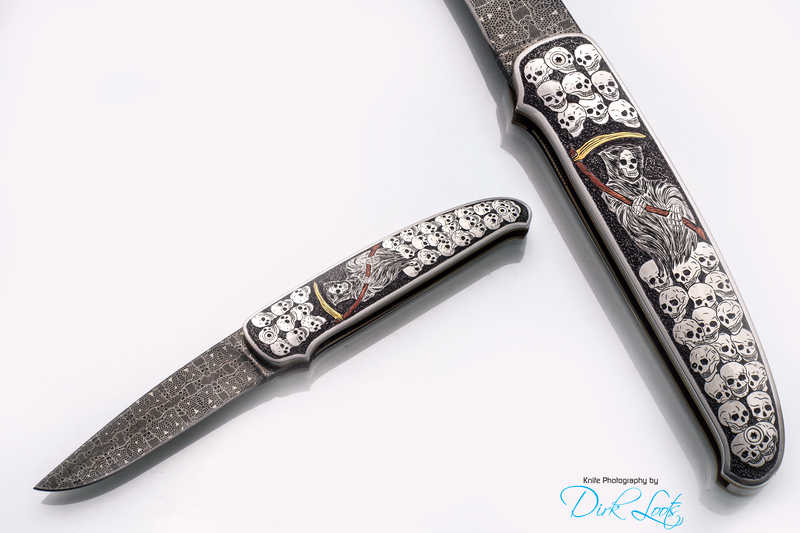 I therefore take my time in designing and planning each piece to be a masterpiece of which the eventual owner can be proud and know that I thoroughly enjoyed making the knife. 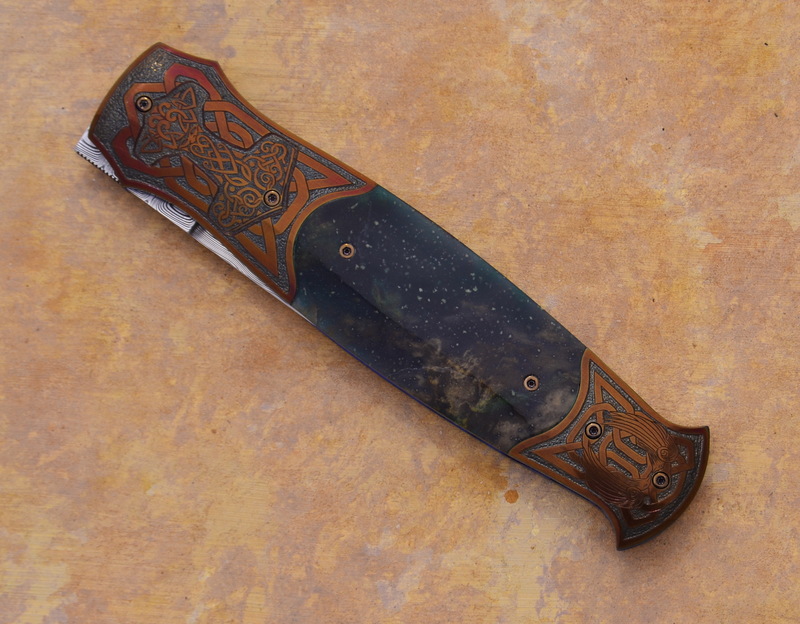 I am inspired by unique well made knives. 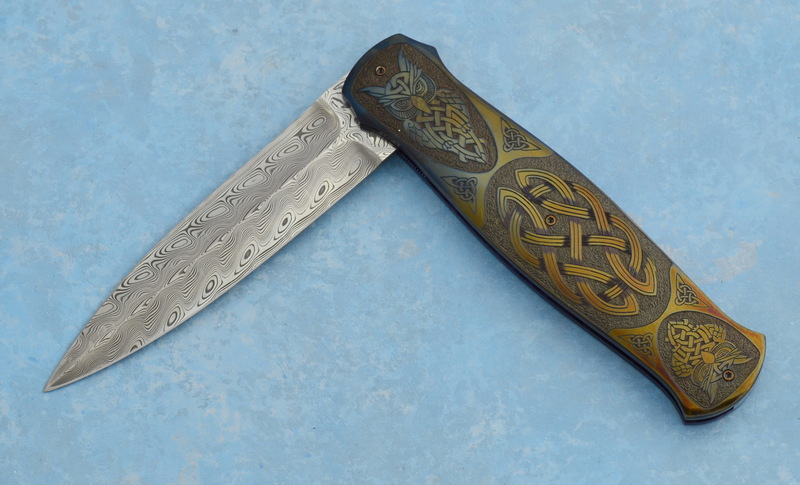 Knifemakers like Arpad Bojtos and the late Buster Warenski are inspirational as well as I am always amazed by the artistic skills of some our local knifemakers and I am glad and honoured to be part of this knife making fraternity. 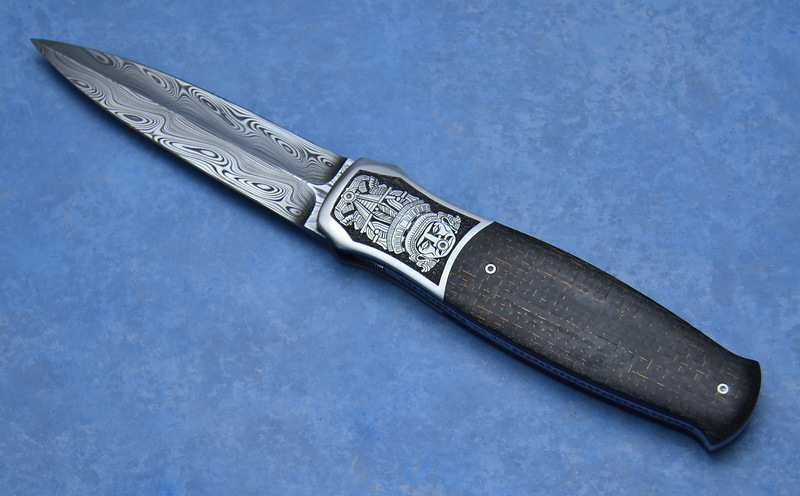 I DO NOT give additional services like restoring old knives or make blades for broken knives or knife sharpening services. 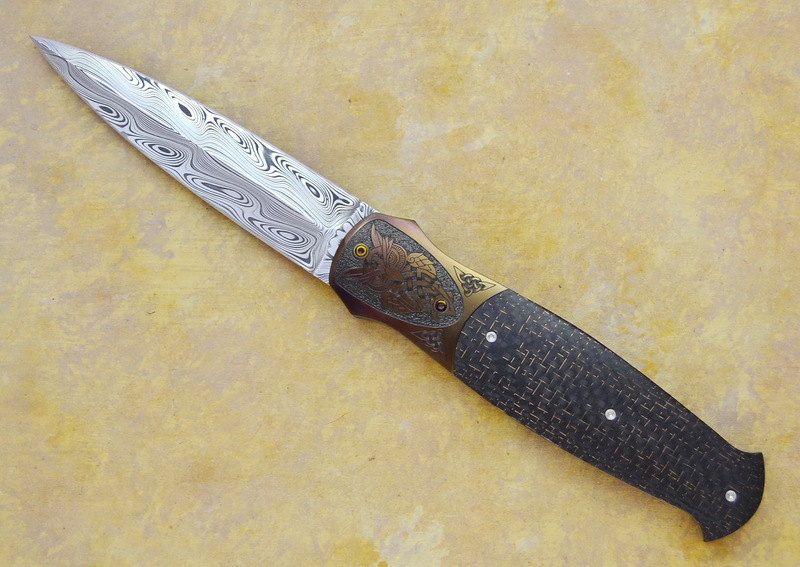 Ettore Gianferrari mosaic Damascus blade. 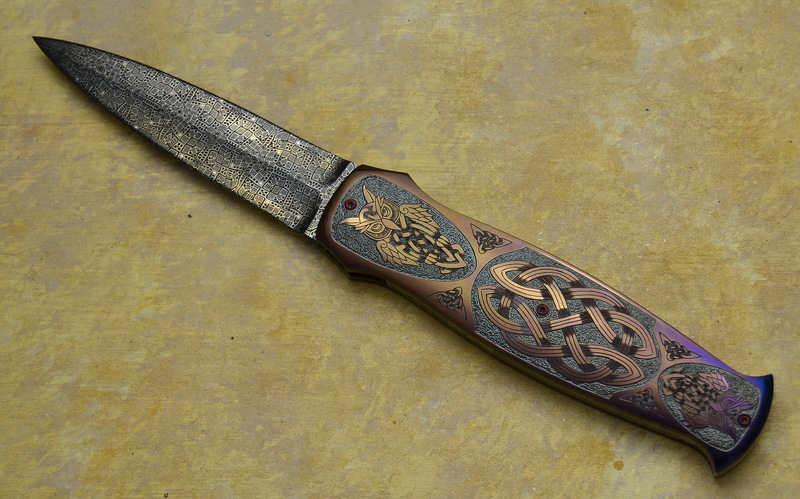 24ct Gold and red copper inlays. 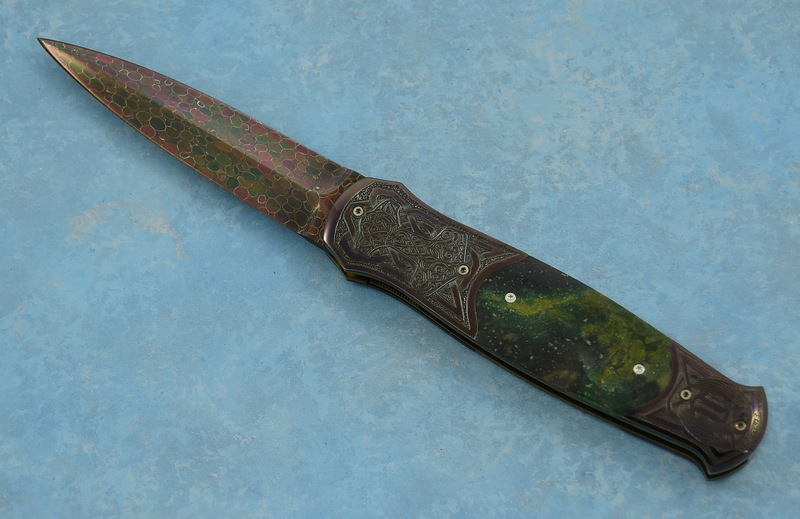 Ettore Gianferrari mosaic Damascus blade. 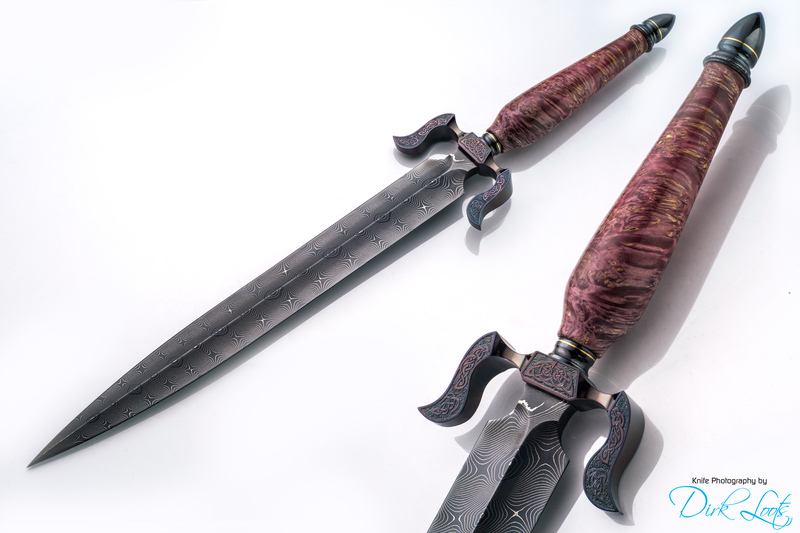 Hakkapella Damasteel blades. 3CR12 Handle slabs. 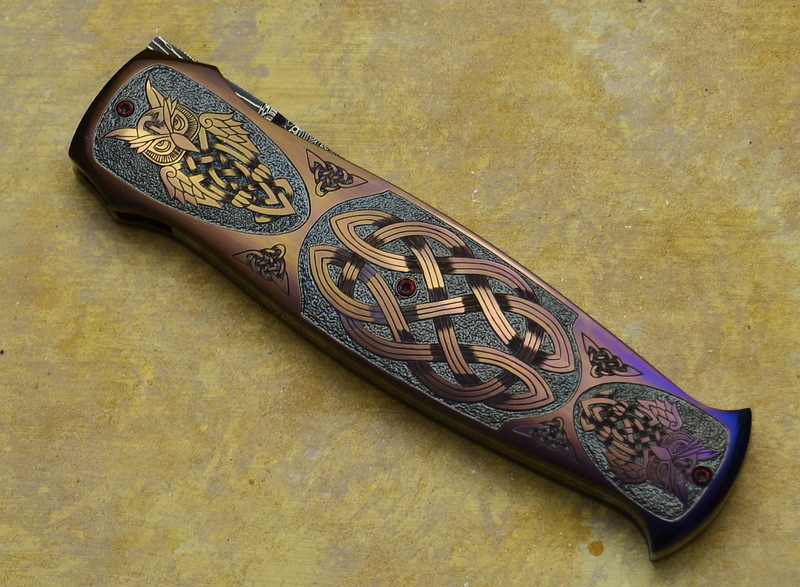 24 Carat gold and red copper inlays.